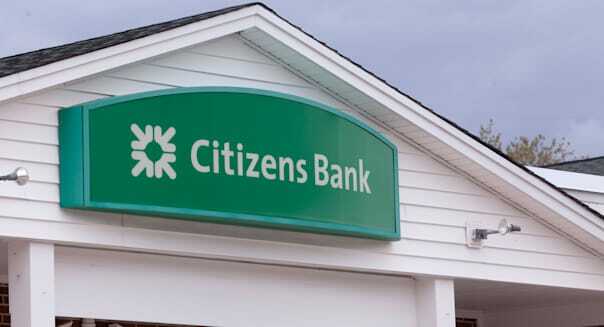 AlamyCitizens Bank ranks the No. 1 financial institution among baby boomers. Each stage of life brings with it a unique set of challenges to overcome and benchmarks to hit -- and this is especially true when it comes to banking. Although financial institutions target millennials heavily, baby boomers (Americans born between 1946 and 1964) are still the most represented generation among today's banking customers. A December Gallup poll revealed that 89 percent of baby boomers have at least one checking, savings or money market account. With more than 75 million baby boomers in the United States, there's a greater demand for financial institutions that cater to the boomer lifestyle. The youngest baby boomers have reached seniority in the labor force, while the oldest members of this generation have entered retirement. Both ends of the spectrum have vastly different circumstances when it comes to income, but no matter their age, boomers have three main banking needs. 1. Customer Service. Customer service comes in many forms, whether from an in-person associate at a brick-and-mortar branch or an attendant at a small kiosk in a local grocery store. Boomers have grown up with institutions that rely on real-life, person-to-person transactions that allow them to talk through terms and conditions and have questions addressed. Physical bank branches are necessary in order to fulfill this service expectation. As more financial institutions have turned to online and mobile banking, some baby boomers who are slow to adapt to banking technology have been isolated as a result. 2. Retirement Planning. With the average life span in the U.S. expanding each year, and so many baby boomers on the road to retirement, the need for retirement planning resources becomes more and more pressing for many banking customers. %VIRTUAL-article-sponsoredlinks%"In my experience, the most stressful situation that baby boomers encounter is the fear of running out of money during retirement," says Jonathan Duong, a certified financial planner and president of the wealth management firm Wealth Engineers. "Although most baby boomers have several sources of retirement income, ranging from Social Security and pensions to their own retirement savings, many of them lack a true financial plan to help them understand how much they can spend in retirement," Duong says. "Not having a plan often leads to one of two negative outcomes: 1. The retiree lives a substandard retirement -- below what his or her income and savings can actually support -- due to the fear of running out of money. Or 2. The retiree overspends and then runs into the significant risk of outliving their savings." In addition to staying on top of income during retirement, boomers need the assistance of a financial adviser to understand the kinds of expenses that could become more costly over time, like health care. This awareness can mean the difference between boomers being financially unprepared in the next stage of their life or living a comfortable lifestyle after leaving the workforce. 3. Convenience. While baby boomers are seen as traditionalists when compared to Generation Y (those in their 20s and early 30s), the two generations have something in common -- they both want convenience. A 2013 Gallup poll found that 71 percent of boomers use online banking services at least weekly -- right in line with Generation X (70 percent) and Generation Y (72 percent). Millennials might be quick to adopt new technology, like mobile banking, but there are more tech-savvy boomers surfing the Web for their banking needs than previously thought. Efficiency and convenience play a major role in baby boomer satisfaction, which makes banking services like online banking and electronic bill pay appealing. Not all financial institutions are focused on the welfare of transitioning boomers, but there are a number of banks that still offer comprehensive services to this substantial population of customers. Jennifer Calonia writes for GoBankingRates.com, a source for online banking, the best CD rates, savings account rates, personal finance news and more.